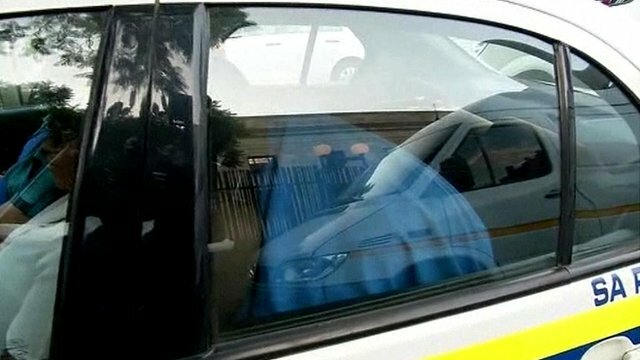 Pistorius: Defence challenges police account Jump to media player The BBC's Andrew Harding has been at at the bail hearing in Pretoria and reports from outside the courtroom. Neighbours 'heard non-stop shouting' Jump to media player Neighbours of Oscar Pistorius heard "non-stop shouting" before he opened fire, the court in Pretoria has been told on the second day of the athlete's bail hearing. 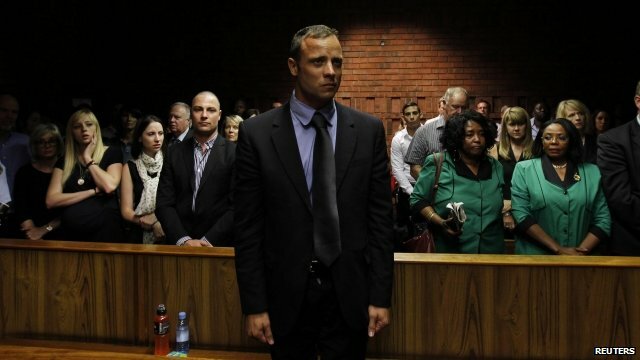 Detective: Pistorius a 'flight risk' Jump to media player A detective has described Oscar Pistorius as a "flight risk" during the second day of the athlete's bail hearing. Pistorius arrives for bail hearing Jump to media player Oscar Pistorius is in court for the second day of his bail hearing, in which the prosecution will make their case against him. 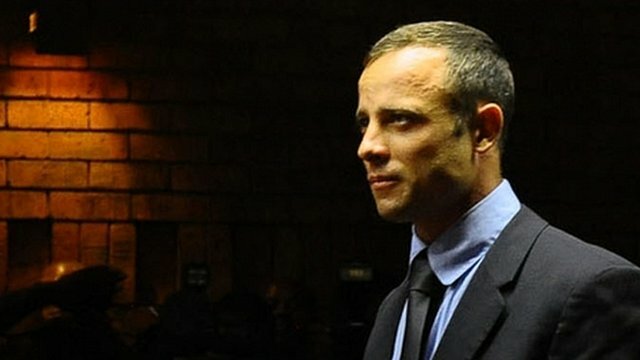 Pistorius 'very much in love' Jump to media player Oscar Pistoprius had no intention of killing his girlfriend, and the couple were very much in love, his defence team has told a court in Pretoria. 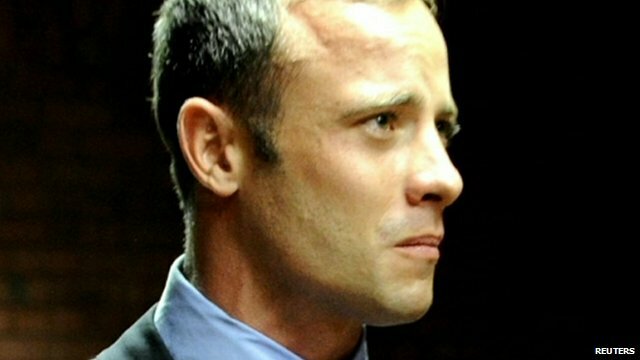 Pistorius 'mistook lover for robber' Jump to media player South African athletics star Oscar Pistorius has denied murdering his girlfriend, saying he shot her by mistake thinking she was an intruder. 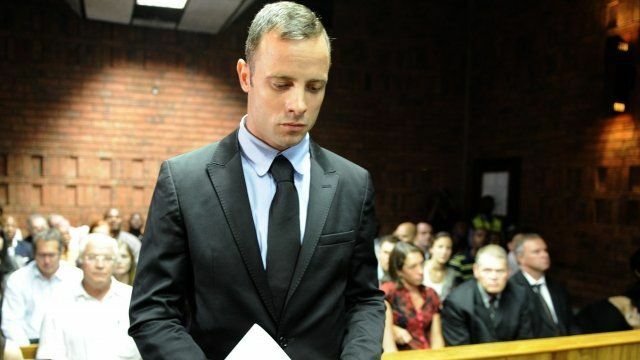 The second day of the bail hearing for Oscar Pistorius, who is accused of murdering his girlfriend Reeva Steenkamp, has heard claims and counter-claims by the prosecution, police and defence. 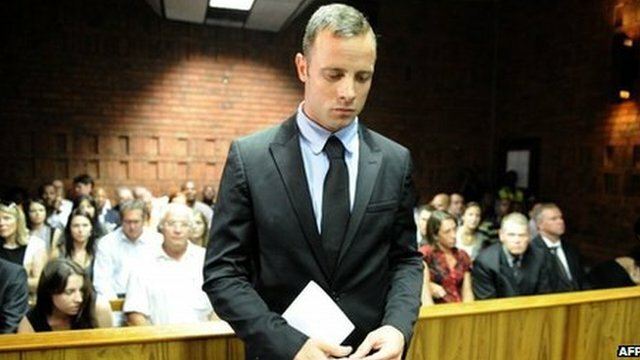 The BBC's Andrew Harding has been at at the hearing in Pretoria and reports from outside the courtroom.